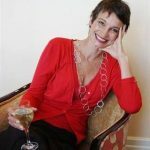 What goes together like love and marriage? Trout and rosé, of course! 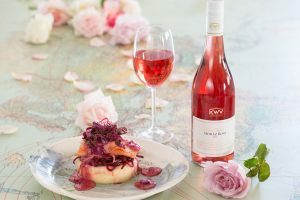 To push out the boat a little for this Valentine’s Day, chef Mynhardt Joubert suggests serving his gorgeous creation below with KWV’s equally lush Shiraz Rosé. It’s a lot easier to make than it looks, so don’t be daunted! Just follow the steps and you’ll be fine. The various elements for the dish can be prepared in advance, Mynhardt says, leaving you cool, calm and collected when your date arrives. Boil the potatoes in salted water until soft. Drain in a colander and return to the pot, off the heat. Mash until smooth, then add the butter and mash till blended. Stir in the pickled ginger, season with salt and keep warm until needed. Rub both sides of the fish with a little oil and season with salt and pepper. Sear the salmon trout fillets skin down first in the pan over medium high heat, cooking 2 minutes a side. Remove from the pan and keep warm till needed. Bring the rosé and chicken stock to the boil in the same pan. Add cream and reduce by half or until the sauce starts to thicken. Add sliced baby beetroot to the sauce, then simmer gently for two minutes. To plate: start with the ginger mash. Arrange the beetroot spaghetti on that and top with the trout. Spoon some sauce over each portion. 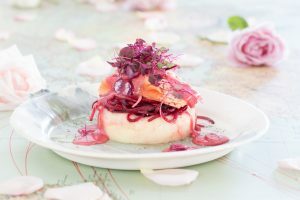 Garnish with rose petals and beetroot sprouts. 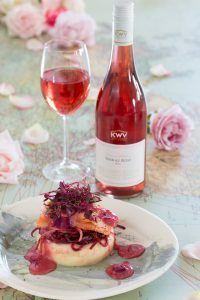 Serve with well-chilled KWV Classic Collection Shiraz Rosé. Reasonably priced at R52.99, the KWV Classic Rose wine is available from liquor outlets nationwide.